The purpose of the commemorative bench program is to provide the community and organizations a means to recognize and honor others or special events through a lasting tribute. The contribution made through this program will also benefit the city and the community as a whole as the benches allow people to enjoy the natural beauty of our city parks, play-grounds, and pocket parks where the benches are placed. The cost for a 6 foot bench is $750.00. The fee includes the bench, materials and installation. This price does not include a commemorative plaque. 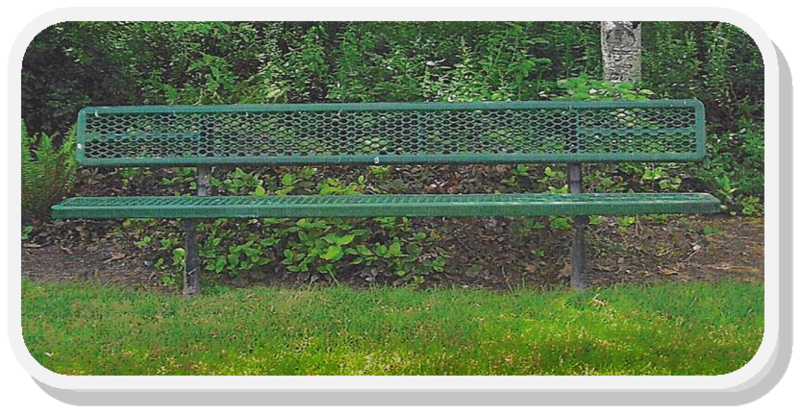 The extra heavy duty benches are made of high quality commercial grade thermoplastic planks with a powder-coated frame. The benches are installed at approved sites in the order requests are received. An optional plaque may be purchased for the bench, at the purchaser’s expense. The maximum allowable size for a plaque is 5’’ x10’’. Memorial Plaques may contain up 100 characters on 1-3 lines. All plaques will be centered on the backrest of the bench and installed by park staff at not additional cost. The purchaser is responsible for replacing the plaque if it is damaged or vandalized. Please note that all wording on plaques must be approved by the public works department prior to purchase. For more information please contact our public works department at 503-665-9320.